Over 75% of small business owners claim they don’t have a disaster recovery plan in place. This statistic is quite alarming, especially when you consider the thousands of cyber-attacks on businesses each year. Many studies have determined that almost 40% of businesses that experience a cyber-attack close their doors soon after. Instead of waiting until disaster strikes, now is the time to work on developing a business continuity and disaster recovery plan. Working with IT professionals is the best way to hone in on what this plan needs to succeed. Read below to find out more about what to include in your business continuity and disaster recovery plan. The first thing to do when trying to develop an adequate business continuity and disaster recovery plan to inventory all your hardware and software. All the hardware and software you have should have the vendor’s technical support number and service contract information. Having this information in the event of a network crash can help you get things back up and running in a hurry. Inventorying these items will also give you a good idea of what your assets are and how to protect them. Consulting with IT professionals during this planning process allows you to get answers to any questions you have. Network crashes will wipe out or disable all the programs and apps you have. Not having these programs to work with will bring your productivity to a grinding halt. When writing out a disaster recovery plan, it is best to put your software and applications in three tiers. The first tier should include the applications you need back up and running immediately. In the second tier, include programs that need to be back online in 24 hours. The third tier features programs that you can go without for a few days. Getting this information in writing helps you think objectively in the event of a network outage or cyber-attack. Clearly defining key roles before disaster strikes is essential. Having the roles identified will help you figure out which employee is in charge of certain parts of your network. Once you have this information, you can delegate tasks to get your network back online. 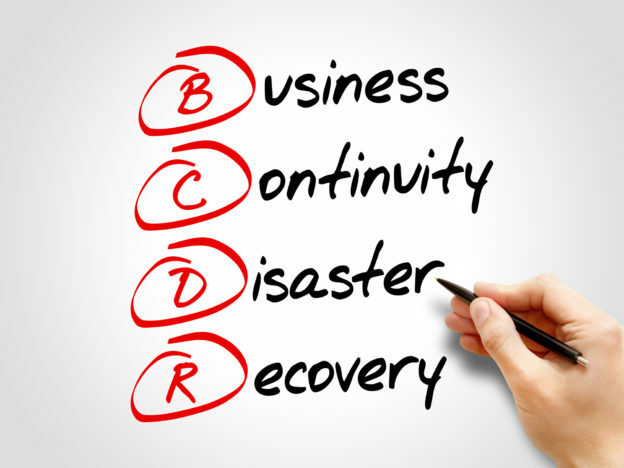 Once you have an adequate business continuity and disaster recovery plan, you need to test it out. Running drills with your employees is a great way to figure out how well everyone knows their roles. Involving your IT provider in these drills is also a great way to assess how well it works. Trying to develop and test a disaster recovery plan without some professional help will usually lead to huge problems. Before choosing an IT company, you need to make sure they have extensive disaster recovery planning experience. The AME Group has been providing IT support to businesses for over 30 years. If you have questions about preparing your computer network for a crash, feel free to contact us today.